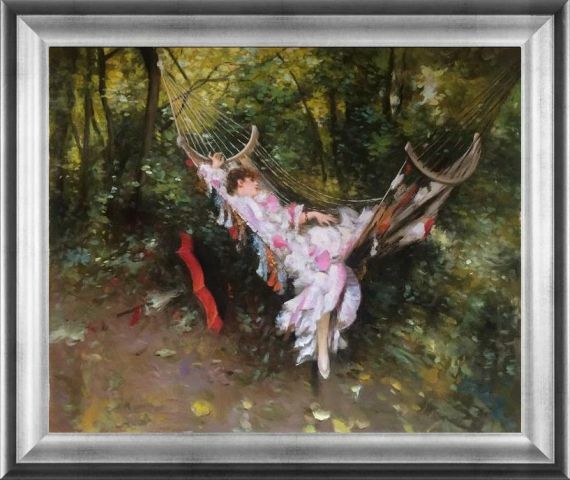 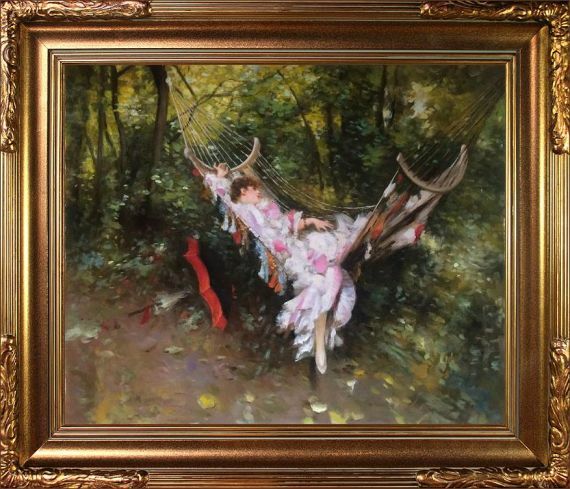 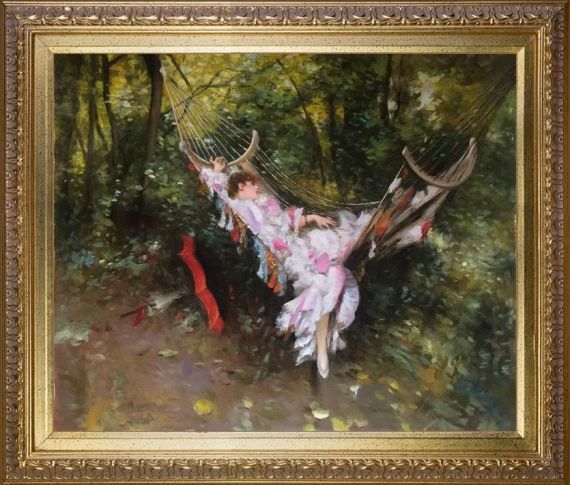 Lovely oil reproduction of The Hammock, 1872-1874 by Giovanni Boldini. 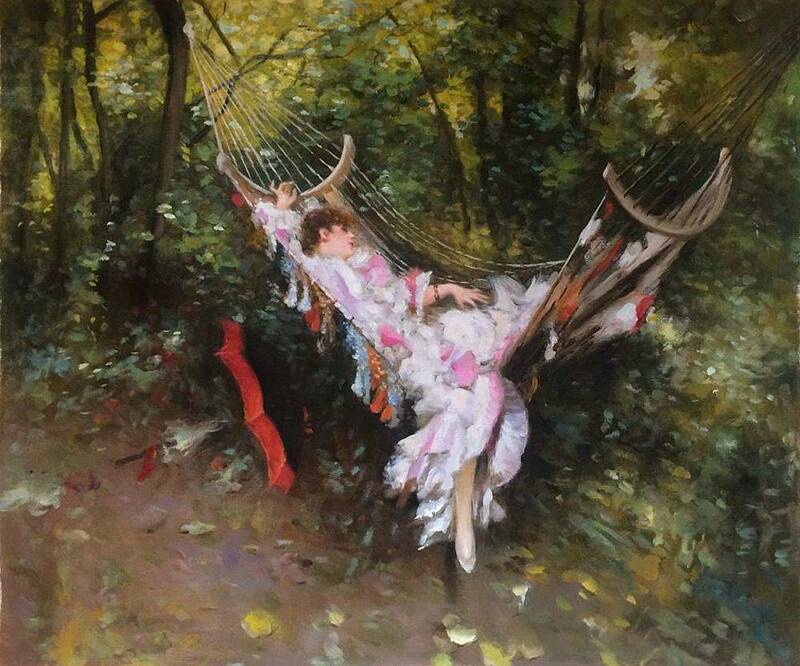 Giovanni Boldini was an Italian genre and portrait painter associated with the Parisian school. 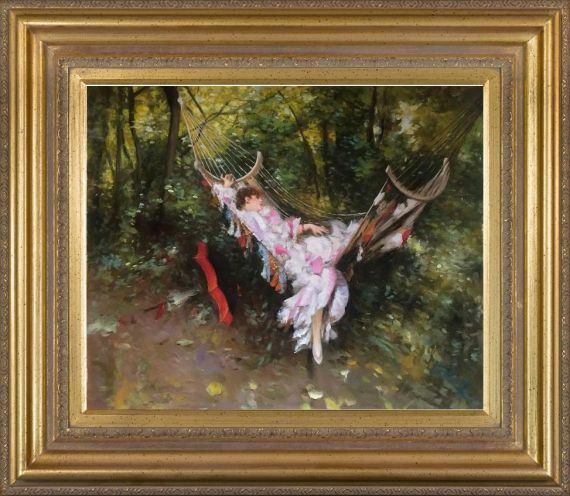 According to a 1933 article in Time magazine, he was dubbed the "Master of Swish" because of his flowing style of painting. 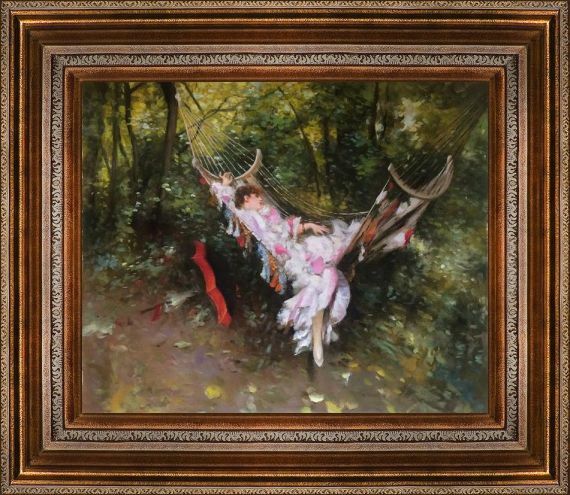 Color Palette for The Hammock, 1872-1874 is empty.